Lewis Hamilton has beaten former title rival Sebastian Vettel to victory at the season-ending Abu Dhabi Grand Prix. Vettel regretted that he couldn’t reach Hamilton before the end of the race — his last victory came in August’s Belgian Grand Prix — but the German admitted he was ready to turn his focus to mounting another title tilt in 2019. Red Bull Racing’s Max Verstappen finished third to claim fourth in the drivers championship standings ahead of Valtteri Bottas — just reward after recovering from a poor start. “It was not an easy race,” he said. “I had a problem off the start—actually the launch was good by my engine went into a safety program. 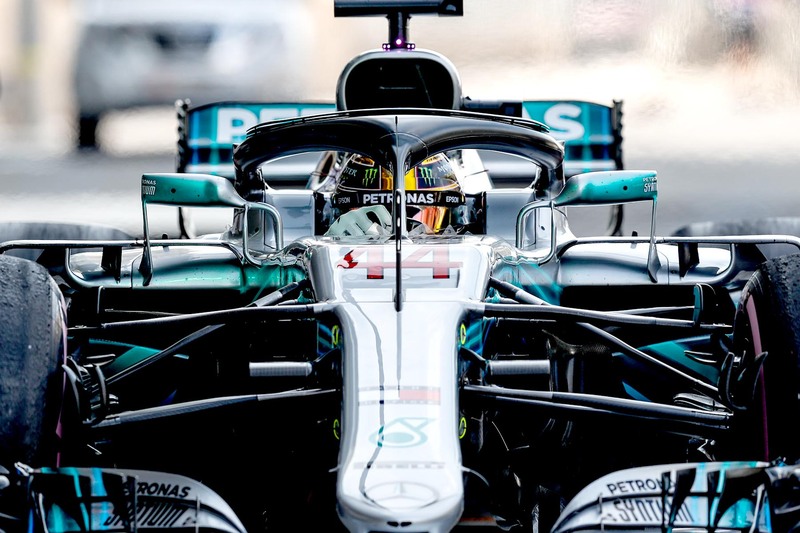 Race leader Hamilton took the opportunity to pit under reduced speed, switching to the supersoft tyre for a 47-lap stint to the end of the race. He emerged behind Verstappen and Ricciardo in fourth and third respectively, and though he fought hard to regain places on lap nine once racing resumed, he was unable to find a way past. Meanwhile Vettel was looking for a way past second-placed Valtteri Bottas, and Ferrari brought him in on lap 15 for new supersofts to attempt an undercut — but the strategy was undone by a slow 3.6-second stop.